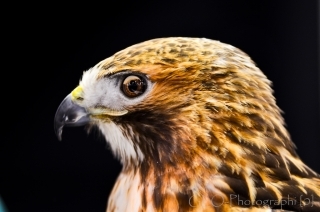 Want to Learn More About Falconry? 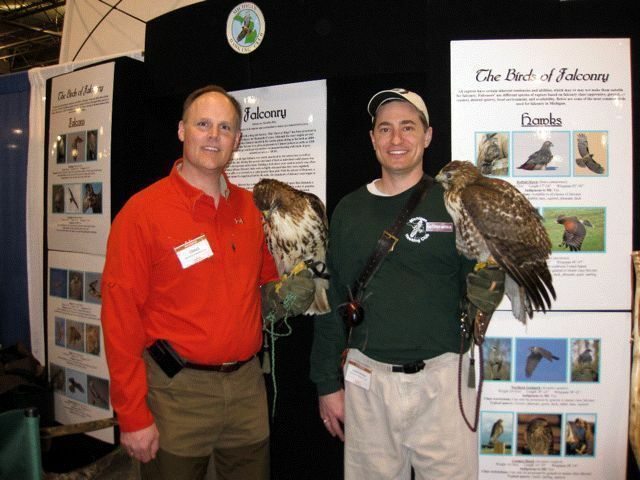 The late summer and early fall offers several falconry education events at local Michigan Outdoor Expos and hunting fairs. 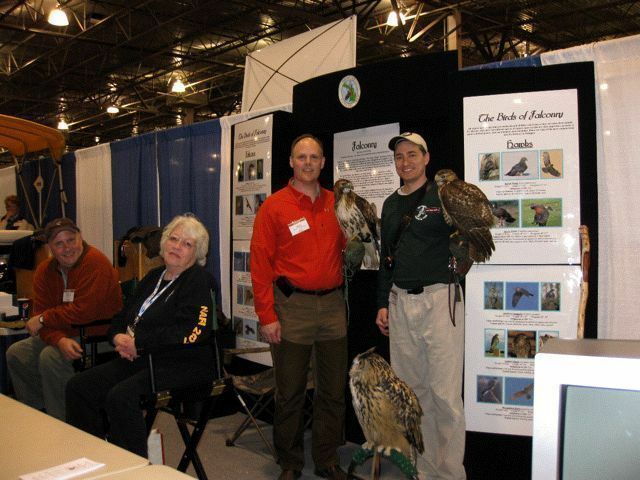 The Michigan Hawking Club, as part of it’s commitment to falconry, conservation, and education, participates with several Michigan Outdoor Expos. It’s a great opportunity for the falconry community to educate folks on the conservation efforts that falconers and other raptor enthusiasts contribute to during the course of the year. It is also a great time for public folks to get an up-close and personal view of the birds that falconers use for falconry. Falconers from all over the state come and talk to folks about the ecology of raptors, the sport of falconry, and share outdoor adventure experiences. Listed below are the fall events where the Michigan Hawking Club has a tent display where are experienced falconers talk with folks who have questions about raptors, falconry, and hawking in general. This past weekend I participated with the Michigan Hawking Club in one of the premiere education events of the year. MUCC Outdoorama is a great opportunity to educate folks about the sport of falconry and share my love for raptors. It was a great time for me as a Falconer and as an educational ambassador to the sport of Falconry. Fellow Falconer Craig F. with “Reno”, Author with “Tahoe”. The Educational crew from the MHC club on Friday night, complete with the club mascot in the foreground, “Bigfoot” the Eurasian Eagle-Owl. Hawk Talks at Outdoorama this weekend! Don’t forget to stop by the 2010 Outdoorama show at RockFinancial Showplace this weekend(25-26-27-28) for all things hunting, fishing, and great outdoor adventures. The Michigan Hawking Club will have a booth for raptor displays and ‘Hawk-Talks’ to anyone who stops by for a visit. Please support your local wildlife and conservation clubs! This year’s Outdoorama is once again at the RockFinancial Showplace in Novi, MI. 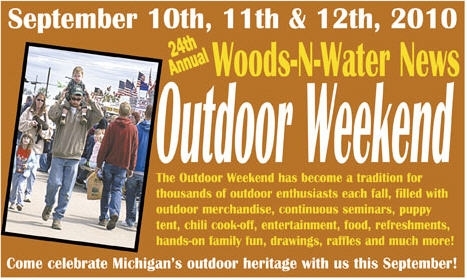 Sponsored by Michigan’s MUCC, this is a great show for any outdoor enthusiast! Many of the local conservation clubs and organizations come to this event to educate folks about animals, conservation efforts, and environmental issues. Also, the hunting and fishing communities have great presence here for anything from Big Game Safari hunting to backyard fishing excursions. There is also a cottage and lakefront living show in the same building right next to all the boat dealers. It’s a great family day if your family is into outdoor adventures. I particularly enjoy the Outdoorama because it gives me an opportunity to teach other folks about falconry and raptors. The Michigan Hawking Club has had a booth at this show for the past 15 years and it’s a great venue to see falconers and their birds. Club members will have birds on display, informational hand outs, hunting videos playing and will be happy to answer any questions you may have about falconry in Michigan. Please stop by for a visit. * MUCC Banner image borrowed for illustrative purposes only.